America’s favorite nonagenarian talks working with Regis, easy-money work and why she's still having a blast on set. 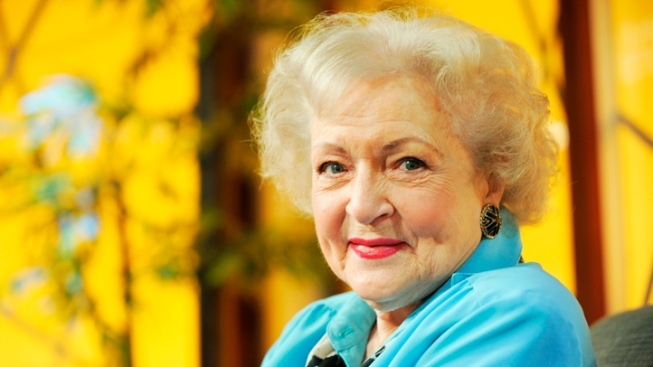 Actress Betty White is busier than ever with the new series of "Hot in Cleveland," the DVD release of "The Lorax" and an Emmy nomination. 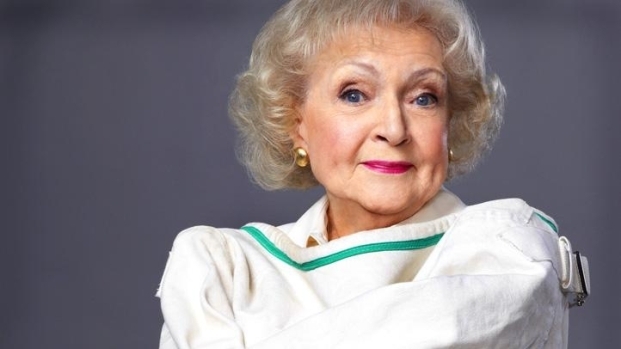 As White gears up for a new season of her sitcom “Hot In Cleveland,” she talks to PopcornBiz about voice acting in her latest hit film “The Lorax” (out on DVD), working opposite kindred spirit Regis Philbin and how she just keeps on going in a showbiz career with no end in sight. 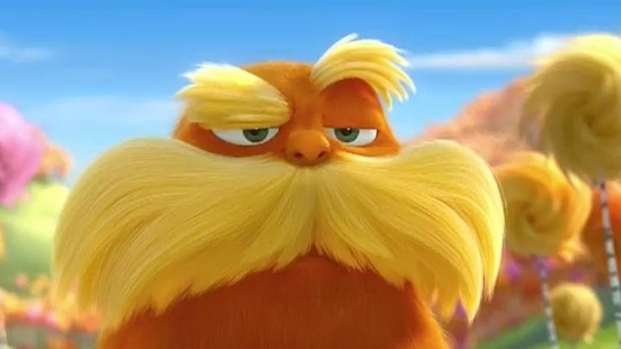 You've been an animal advocate for such a long that I imagine “The Lorax” was a real treat to do, with its theme of conservation and treating the planet right. That's so right, absolutely! I think 'The Lorax' is such a lovely environmental story that I just was privileged to be dealt in. And this wasn’t your first voice-only acting role? I've done several – not features like 'Lorax,' but I was a kind of a running character on 'Pound Puppies' and several of those. But it's like stealing money, I promise you! You don't have to put makeup on. You can just read your lines. It really is thievery. But it's tougher, I have to admit, because you don't have any of the tools that you can use, the gestures and stuff. To me it tends to feel like overacting. You have to play things a little bit bigger than you do if you're onscreen…You just try to picture this other lady and not think of it as yourself. I think it's phenomenal how you do this in a room all by yourself and then they send it away, across the world somewhere, and it comes back looking like you, moving around saying it. Are you in production for the next season of 'Hot In Cleveland' right now? We start in about a week or two. We have no idea what the scripts are going to be, but it's just lovely to be invited back. The only thing that I do know is that Regis Philbin, who did our closing episode last season, is also in our opening season episode, so that'll be fun. That's all I know about it. Of course I haven't seen a script or anything like that, but we all adore each other and we miss each other when we don't see each other, so we're aching to get back and play together again. When did you first meet Regis? When he was out here as a sidekick to Joey Bishop. That was a long time ago! You know where he's coming from because it's a comfortable place to be when people are so nice to you all the time. I asked him when he came out to do the show. I said, 'Do you miss not doing your regular show?' He said, 'Only when something important happens. Then I kind of wish that I was back, so that I could talk about it. Other than that I'm enjoying the free time. When something happens though, I kind of wish I was there.' I found that interesting. Your peers have nominated you for an Emmy, in a category I'm guessing you didn't suspect you'd get nominated for? I sure didn't! And to get two nominations at this point in time, when you're 90 years old, I think somebody is going to get wise to me one of these days and I'm going to be in big trouble. Does this nomination have any special significance to you? It's unheard of. The competition gets greater and greater and there are so many great people in the business today, and to still nominated…When the nominations came out, the phone rang about six o'clock in the morning and it was my agent. He said, 'You just got two nominations.' I knew he was on a European vacation. I said, 'Where are you?' He said, 'I'm on a boat off of Finland. That's where I heard it from, a boat off of Finland,' and then he called me to tell me about the nominations. Do you have any idea why – especially in the last few years – people have responded so strongly to you? Not just audiences but friends and professional colleagues? Oh, I have no idea. It's mind boggling that I'm still getting offers. They used to say that when a woman reaches 40 that her career is practically over, that there are no good women's parts. I just keep buzzing along and don't think that I ever take it for granted. I don't. I'm not only surprised, but deeply grateful because I love what I do. People say, 'Why don't you retire? Don't you want to get some rest?' I say why retire from something when I'm having such a good time.